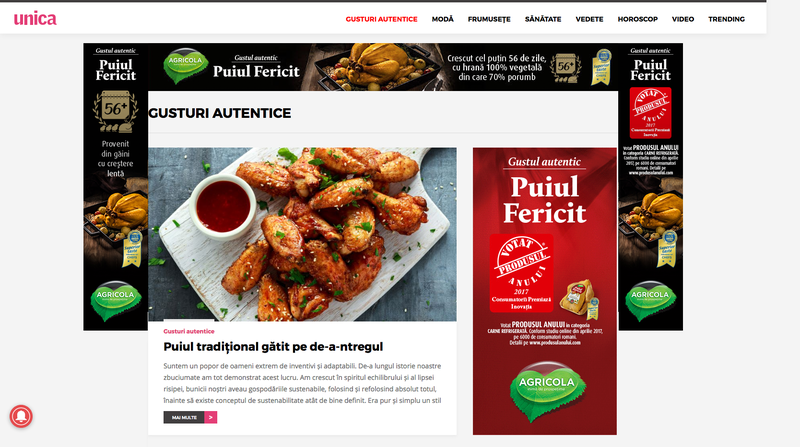 Brief: Our customer, Agricola wanted us to help them promote their product called “Happy chicken” and make readers aware of its highest quality and authentic taste. Concept: Create online buzz and keep “chicken & happiness” as key topics for each article. Create special content and show useful recipes, talk about real benefits of a healthy chicken diet and make the readers go hungry and become curious about where they can find such products to reproduce the unique and authentic taste. Deliverables: Special section, 7 native articles (researched, crafted), native banners, promotion.